Late at night, I'm wide awake. I really need to sleep. 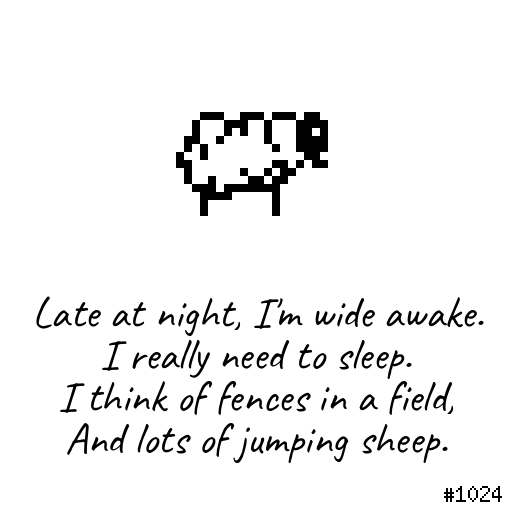 And lots of jumping sheep.